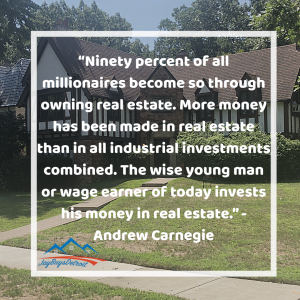 Most millionaires gained their fortune by investing in real estate. Your real estate investments will grow and appreciate in value over time. So whether you purchase a home to flip quick or you simply want to invest your time into a property, now is the perfect time to invest. Begin your journey in real estate today.